It begins when we’re children… everyone seems to ask, “What do you want to be when you grow up?” Tests are taken to determine where we are best suited, often based on a combination of skill and interest. Yet, few people ever ask, “What has God told you that you’re called to do?” We are almost never directed to God, the very one who orders our steps! If tests can’t tell us what our call is, then where do we go to find out? The simple answer is: We must go to God. He places desires in our heart. Yes, there are earthly desires that we must be wary of—but just because we desire to be the CEO of a company, doesn’t mean that this desire can’t be of God. What we need to do is go to God and ask Him if our desire is wholly of Him… Sometimes the base of our desire can be of God, but our earthly filter can add or take away from what He has planned. We must know to follow up with Him, by asking how we are supposed to use our desires for the Kingdom. While our desire may primarily be of God, our earthly filter can twist it—which is why it is imperative to stop and seek God! By spending time with Him, we can ask and receive a plan for our desire—our call! It’s important to ask God to give us specifics. We need to have a plan to follow so we don’t have room to mess with our calling in God—if we get off God’s plan, then we’re not fully able to fulfill our call. Sometimes He gives tasks with specific dates for completion. Sometimes He gives us a main goal and steps to reach it without dates of completion. Sometimes He gives us our main goal with just the first step. This way we’re not overwhelmed, and have to return to Him regularly to receive our next step. No matter how God gives us our plan, it’s specially tailored to each of us. We just have to be willing to seek, ask, listen, and then move. Can our call change over time? The gifts and calling of God are irrevocable, yet there are seasons in all of our lives which alter the expression of our gifts and callings. So, the display of our call may appear different over time, but the root of our call never changes. What is the expression of God’s calling for our lives? The expression of our calling is largely based off the gifts God has given us—but it doesn’t end there. God created the universe and all that’s in it, He’s a master craftsman… so even if two people have similar gifts, the expression of those gifts and their calling may look nothing alike. Yet, that’s the beauty of God’s design—no one can do what we do, God has ordered our steps! Our calling in God is always the same, even if its expression may alter over time. Usually this alteration is gradual—after all, we desire time to prepare ourselves—but circumstances can change in an instant, and sometimes we have to cling to God and who we are in Him to survive and thrive! Consider the Holocaust…it was a time of sudden and unsettling change. Millions upon millions of people were thrust into situations that felt impossible, and if they didn’t have a strong grip on God and His call for them, they could easily lose themselves. 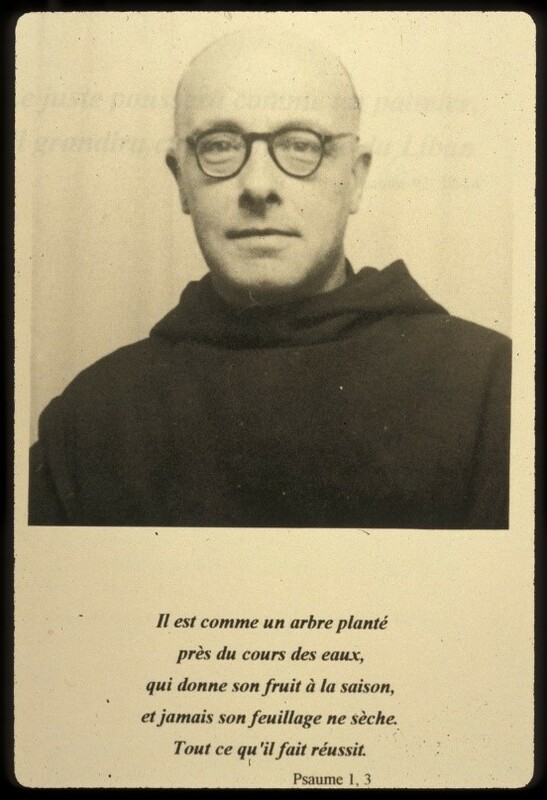 Henri Reynders, better known as, Father Bruno, could have been unaffected by the Nazi regime—he was a Benedictine monk, which meant that he was able to remain protected—but he chose to answer God’s call on his life, no matter how difficult things might become. Before Germany invaded Belgium—his home—the first expression of his call was as a monk. The second portrayal of his call was as a military chaplain. When he found himself captured and placed in a POW camp, he continued his call in prison. After his release in 1941 he worked to save Jews, particularly children, who were endangered by Belgium’s capture. He answered his call caring for children—placing them with facilities or families that might hide them; providing finances, ration cards, and false papers. While traveling in January of 1944, there was a Gestapo raid on the monastery forcing him into hiding—he continued to help Jews under a new identity. After the war, he worked to reunite Jewish children with any surviving family members. In total, Father Bruno is estimated to have saved nearly 400 Jews and was awarded the title, “Righteous Among the Nations,” an award given to Gentiles who risked their lives to help Jews during the Holocaust. Father Bruno’s story of self-sacrifice and following the call God placed on his life is important. It shows that our circumstances don’t have to be perfect to answer our calling in God. We don’t necessarily need to have everything that we believe should be in place in order to answer our call. He is good and faithful to provide! Today, there are still Holocaust survivors—like the children Father Bruno rescued—but the number is dwindling… there is limited time for we Gentiles to bless them! Through My Olive Tree’s Holocaust Victim Legacy Package YOU can plant an olive tree in memory of a Holocaust victim AND give a warm blanket to a Holocaust survivor! By doing this you let them know that they are not forgotten—that YOU have not forgotten! Additionally, by sponsoring an olive tree, you give jobs and beauty for generations to come… answering the universal call to not only bless Israel, but to be a light to the world!